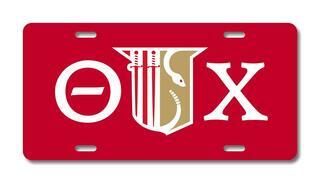 Many fraternity and sorority members meet and identify fellow Greeks by noticing letters or insignia on their cars. 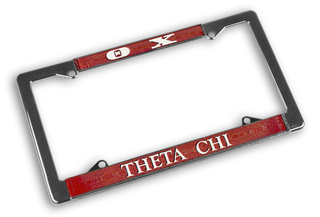 Now that you're a proud member, it's a great time to order Theta Chi Car Merchandise and License Plate Frames for your vehicle. When you're driving around town or driving out of town for a much needed break, it's nice to meet new brothers and sorority girls along the way. They'll immediately know you're a fellow Greek when they see your car decorated with paraphernalia, like the Theta Chi Car Flag in red with white and yellow letters. 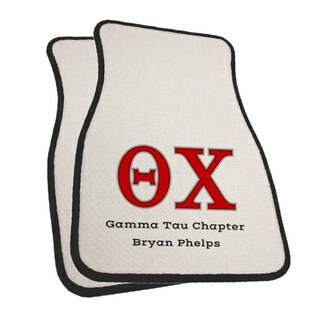 We also carry long window decals that spell out your entire fraternity name. 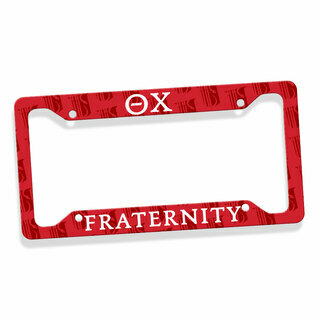 When someone pulls up to your bumper, they'll know exactly which fraternity you've joined when you've got a Chrome License Plate Frame. There's one that comes pre-printed with your letters and org name, and another that allows you to enter a short, two or three word amusing phrase. 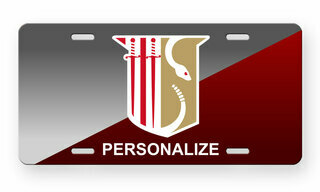 Folks looking in their rear view mirrors will definitely notice your bright red 3-D License Cover, which also contains your letters and insignia. Even if you don't drive yet, many of the items in this section will still be useful. 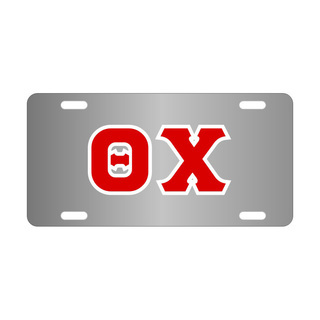 Use Theta Chi Car Merchandise and License Plate Frames to hang or put on display in your dorm room until that big day you go car shopping! 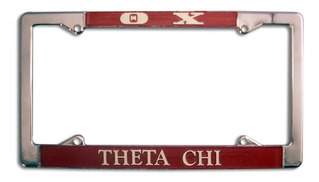 Theta Chi Car Merchandise & License Plate FramesThe Greatest Selection. Period.